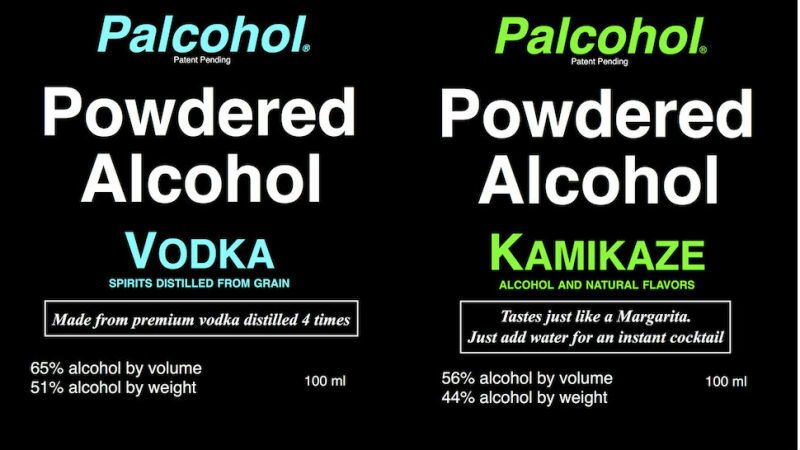 Introducing Palcohol, the world's sneakiest and most efficient way to get drunk. This week, the U.S. Alcohol and Tobacco Tax and Trade Bureau approved the powdered booze product, and its makers hopes to unleash it on an unsuspecting public this fall. Take, for instance, the overpriced drinks at stadium events. 1. What's worse than going to a concert, sporting event, etc. and having to pay $10, $15, $20 for a mixed drink with tax and tip. Are you kidding me?! Take Palcohol into the venue and enjoy a mixed drink for a fraction of the cost. Palcohol also makes for an easy way to get hammered over breakfast without anyone noticing: just sprinkle it right onto your pancakes, and voilà. 6. We've been talking about drinks so far. But we have found adding Palcohol to food is so much fun. Sprinkle Palcohol on almost any dish and give it an extra kick. Some of our favorites are the Kamikaze in guacamole, Rum on a BBQ sandwich, Cosmo on a salad and Vodka on eggs in the morning to start your day off right. Experiment. Palcohol is great on so many foods. Remember, you have to add Palcohol AFTER a dish is cooked as the alcohol will burn off if you cook with it...and that defeats the whole purpose. Those who'd rather mainline booze directly into their bloodstream are also in luck. Palcohol can be snorted! 7. Let's talk about the elephant in the room….snorting Palcohol. Yes, you can snort it. And you'll get drunk almost instantly because the alcohol will be absorbed so quickly in your nose. Good idea? No. It will mess you up. Use Palcohol responsibly. It's hard to imagine how or why the federal government signed off on Palcohol, a product that, in the wrong hands, could make the darkest days of the Four Loko era look tame. For its part, the company says it was caught off guard by the TTB's announcement, and that the old site copy doesn't accurately reflect its mission. What we can say now is that we hope the product will be used in a responsible and legal manner. Being in compliance with all Federal and State laws is very important to us. Palcohol will only be sold through establishments that are licensed to sell liquor.